(2013/History Of Soul) 60 tracks with 28 page booklet. Some might think that soul music's days of chart glory came later, but by the time Ray Charles was anointed High Priest of Soul in 1961, black America's airwaves were habitually using the term soul to describe a gospelized R&B style that had been producing reliable hits since the late 50s. This collection represents the emergence of that fabulous sound in the charts in New York (the centre of the country's recording industry), the Midwest (Cincinnati, Detroit, Chicago), the South (Georgia, Memphis, New Orleans, Texas), and the West (Los Angeles). 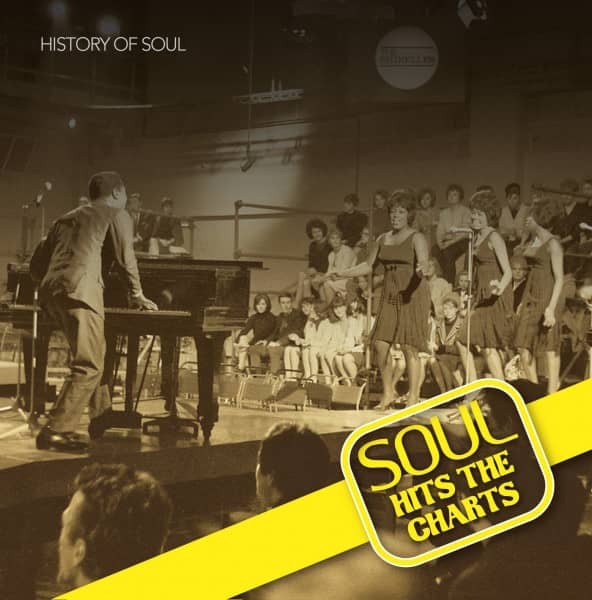 Kundenbewertungen für "Soul Music Hits The Charts (2-CD) History Of Soul Series"